The Moving Average Convergence-Divergence, or simply the MACD, is a trend-following momentum indicator. 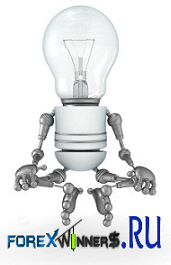 It describes the difference between two Exponential Moving Averages (EMAs). 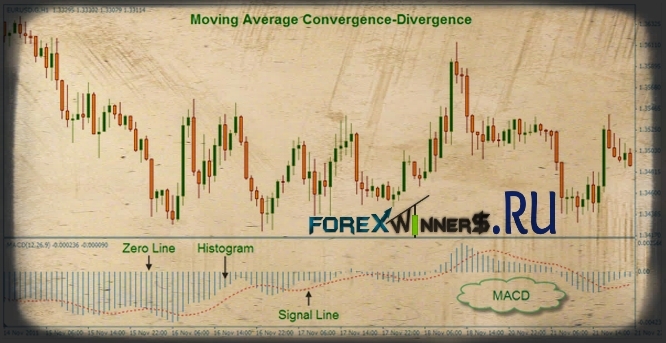 Basically, convergence occurs when the two EMAs are moving closer together as the difference between them gets smaller, while divergence occurs when they are moving apart because the difference between the EMAs is getting larger. The MACD has 3 basic parts. 1. The Zero Line serves as the midline or neutral line between the bullish (upper) and bearish (lower) zones of the MACD. 2. The Histogram represents the distance between the slow and fast EMAs, the 26 EMA and 12 EMA respectively. It displays the degree of convergence or divergence between the EMAs. 3. The Signal Line or MACD SMA is a 9 period Simple Moving Average of the difference of the slow (26 EMA) and fast EMA (12 EMA). The MACD can be used to identify the trend of the market, trade divergences, and identify relative levels of overbought or oversold conditions. However, I use it mainly to confirm the trend direction. As I mentioned earlier, the MACD has two zones, the Bullish (upper) and Bearish (lower) zones divided by the Zero line. Basically, when the price is increasing, the histogram forms above the zero line, and this is considered as an uptrend. But when the price is decreasing, it forms below the zero line, which means it’s in a downtrend. 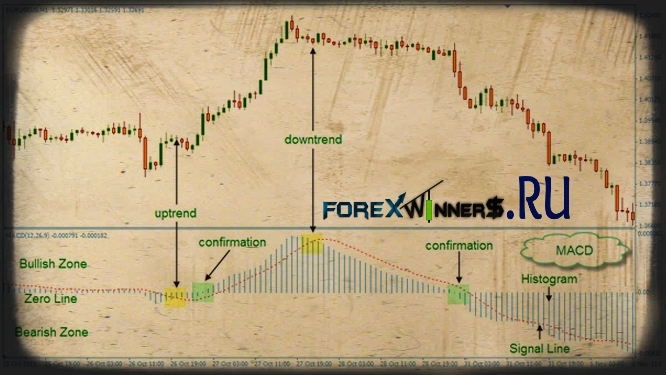 Early signals of pending price reversals can be seen by the relative positions of the histogram and the signal line. From the bearish or negative zone, a crossover of the signal line under the histogram is considered a possible reversal signal to the up side. A crossover of the histogram above the zero line is a bullish confirmation. Edited by Mr Alex Michel from UK.